I know what you mean. I am half way thru my first novel and for some reason I haven’t be able to continue. It isn’t procrastination because I have written a lot of short stories since I stop working on it. When I sit in from of my laptop and open word my mind goes blank. Do you think if I read what I have written I will break my procrastination in that particular area? 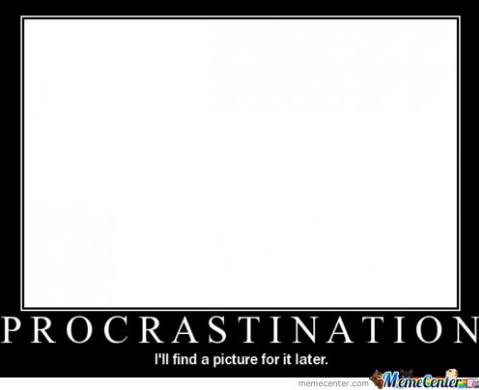 James Clear has a gazillion great article about procrastination. For example: https://jamesclear.com/akrasia , which also happens to include a writer on deadline. That was a good read. Thanks! Looks like I need to reduce the cost of starting.